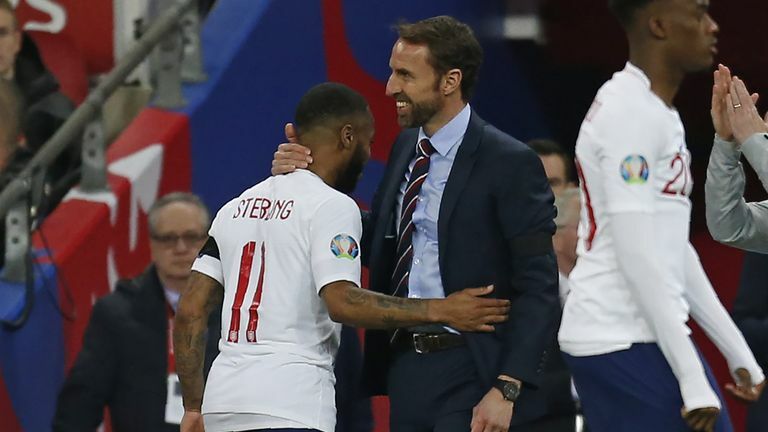 Raheem Sterling has used his return to scoring form for England to "refresh" himself and is reaping the rewards, says former international Darren Bent. 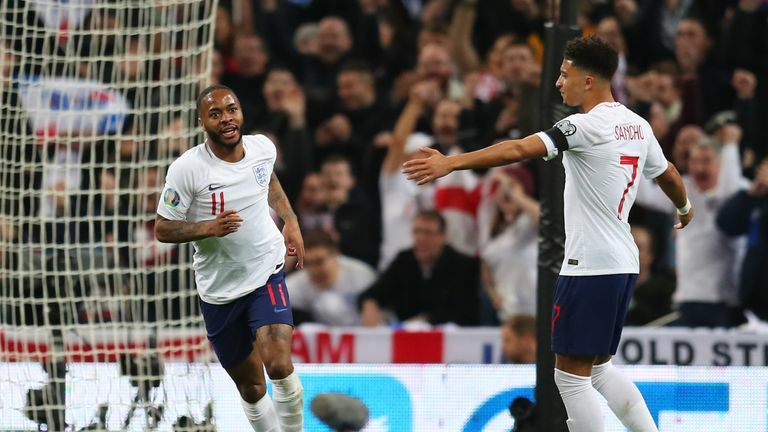 Sterling scored the first international hat-trick at Wembley since Jermain Defoe's treble against Bulgaria in September 2010 when he netted three of the five goals in England's 5-0 European Qualifiers win over Czech Republic on Friday night. 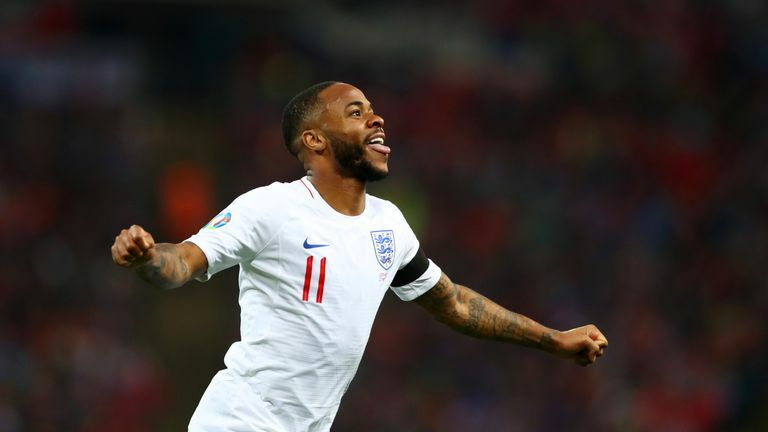 Bent, who won 13 caps for England, says Sterling's resurgence has been sparked by his goal in their 3-2 win over Spain last November. The Manchester City star netted his first goal for the Three Lions in more than three years, mere months after he had become a figure of ridicule for missing a number of chances during England's World Cup campaign in Russia. More than half of Sterling's England goals have come in his last three games, having gone 28 international appearances without a goal prior to that wonder-strike in Betis last year. After full-time on Friday, Bent told Sky Sports News: "He had a fantastic season last season, but people still criticised him at the end of that and the World Cup that he didn't do enough. "Today he was brilliant again, not just his goals but his general play, he was involved in everything good England did going forward, linked up really well with Kane and Sancho, and Southgate has a nice headache to have. "They played really well but there's still Marcus Rashford to come back in, Callum Hudson-Odoi did really well when he came on... it's really, really good times for English football." England are back in action in Montenegro on Monday night, having failed to win on both visits to Podgorica since Montenegro's independence in 2006. Bent played in the first of those games, a 2-2 draw in 2011, and said: "It's a tough place to go, Montenegro. I've been there myself and we only got a 2-2. "But I think the team picks itself. He'll assess one or two injuries like Eric Dier, it looks like he might have to miss out and I hope Dele Alli came off as a precaution. "But he's got a real headache; everybody played well. There's not one person you could pick out and say their place is under threat. Jordan Henderson in the middle was fantastic, he ran everywhere, unselfish runs, bossed the game, was dictating to the young players coming on."